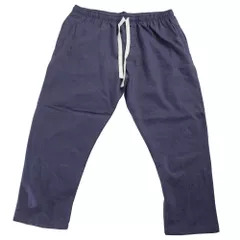 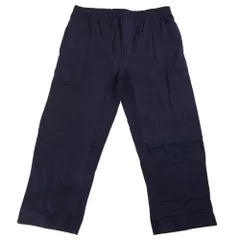 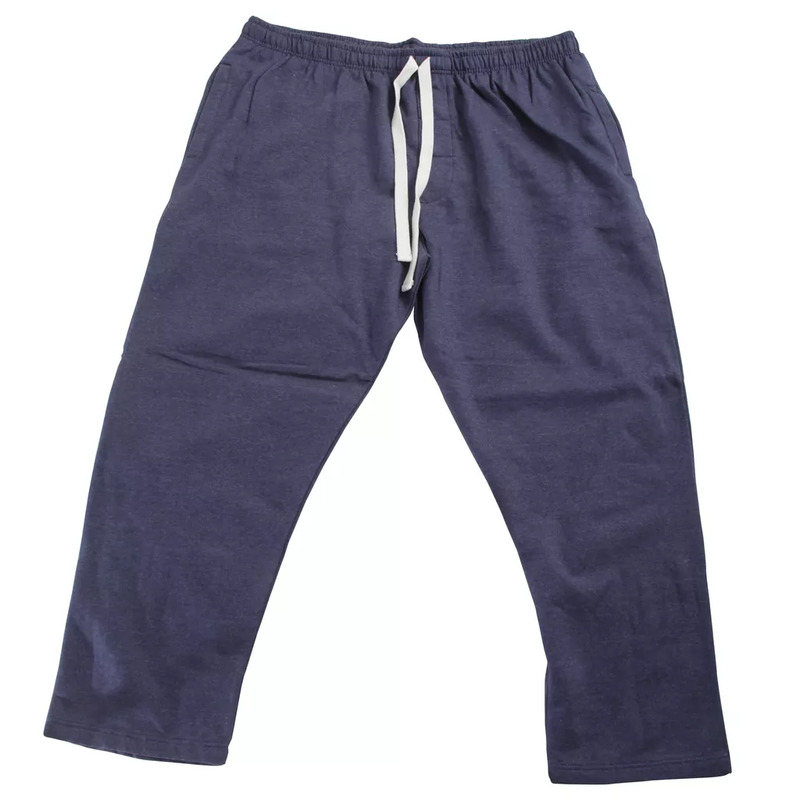 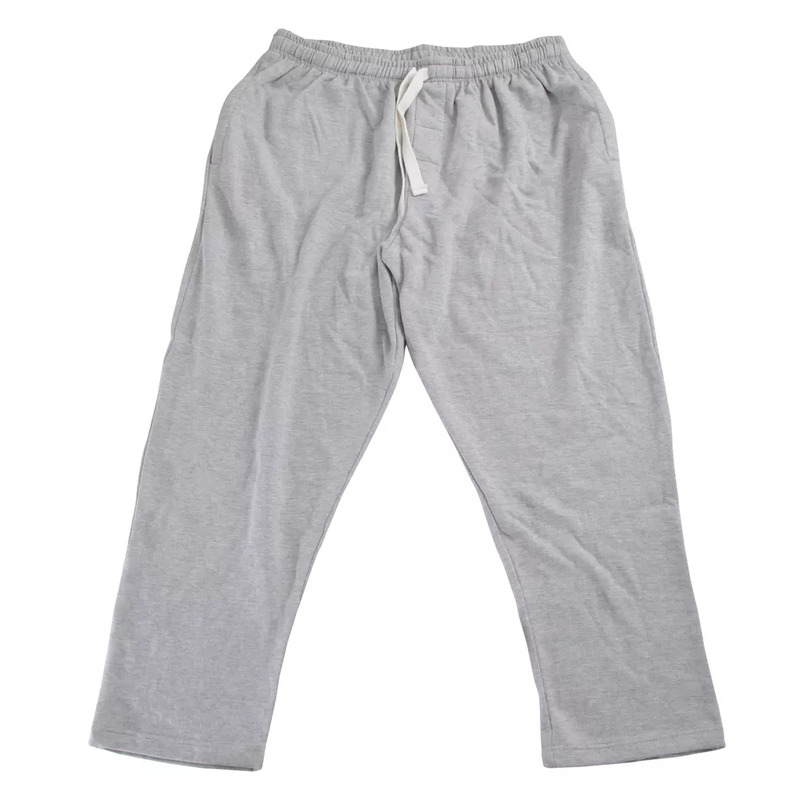 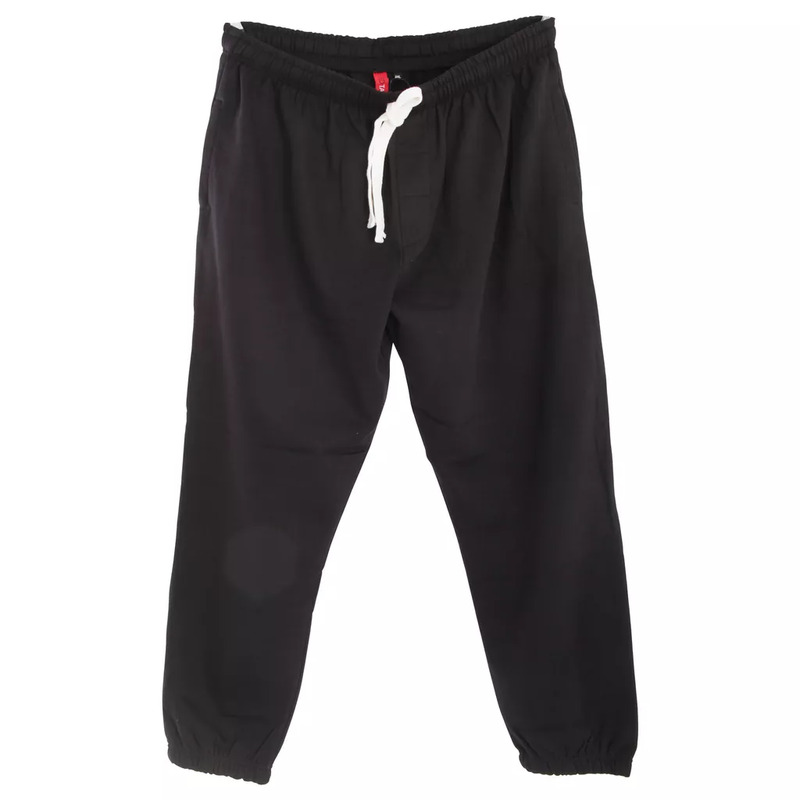 Mens plus size jogging bottoms with open cuffs. 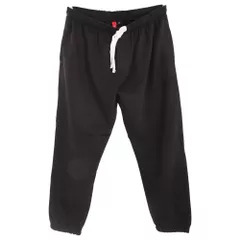 Elasticated drawstring waist (black, denim, grey), no drawstring (navy, charcoal). 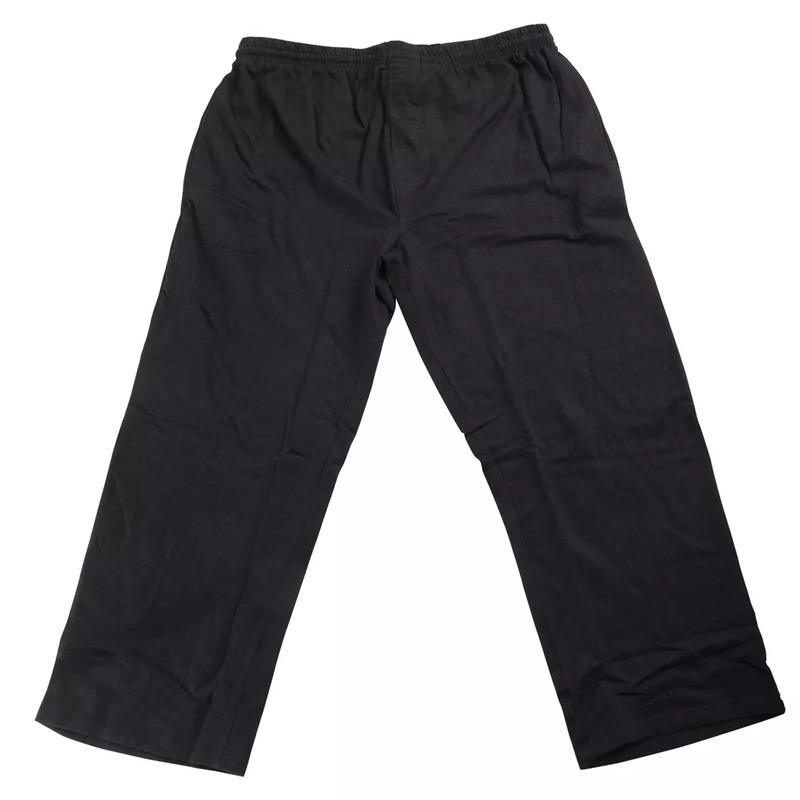 Material: Black & Denim- 60% Cotton 40% Polyester, Navy & Charcoal- 65% Cotton 35% Polyester, Grey- 70% Cotton 30% Polyester.